I usually don't cook on Friday because after the end of a long work week I like to relax and eat out. Tonight it looks like I have to cook! Kevin called and said if I could cook pasta tonight. He would like to dine at home because he needs to wake up at 5:00AM tomorrow and had to go to bed at 9:00PM so he can have enough energy to go for a rowing competition. 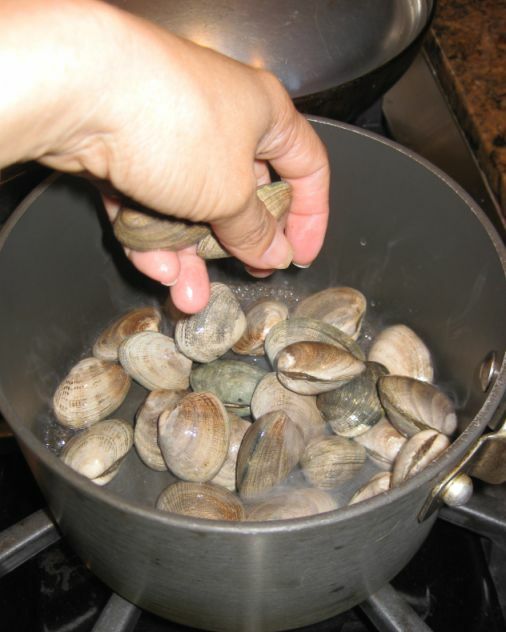 So on my way home, I stop by the grocery store and pick up some fresh clams so I can made spaghetti frutti de Mare which simply means seafood in Italian. 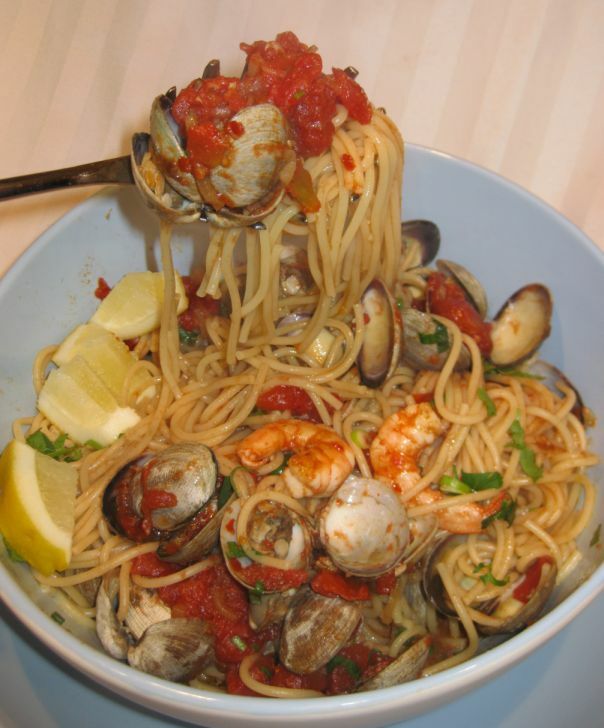 It is a simply dish and I can make it in less than 30 minutes. 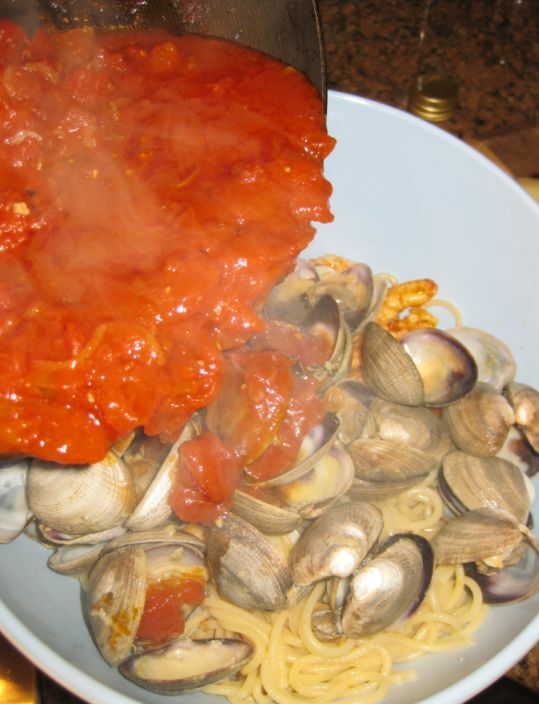 Simply does not mean it is lacking flavor! 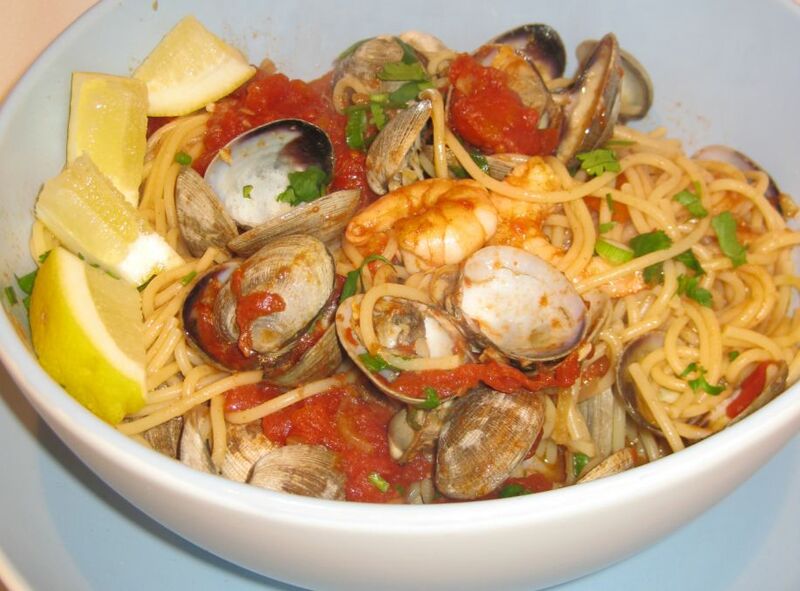 This dish is bright, flavor full and simply satisfying. 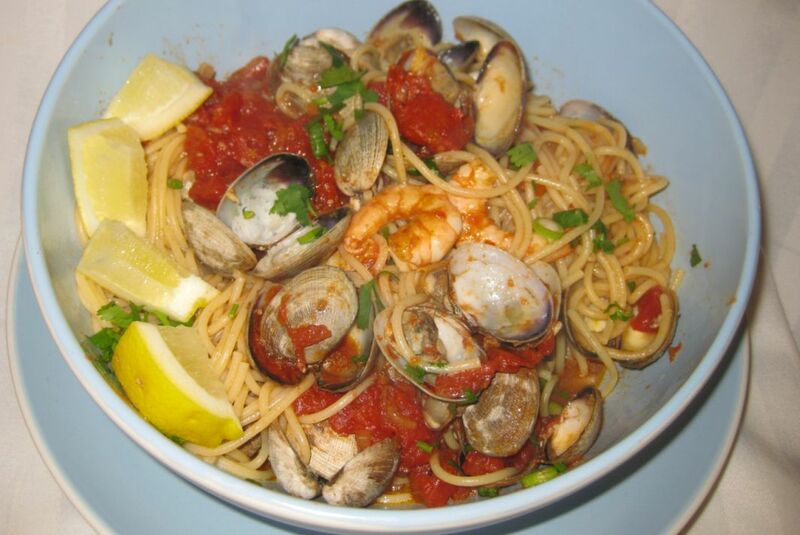 The color of the Spaghetti Frutti de Mare is vivid and so appealing! 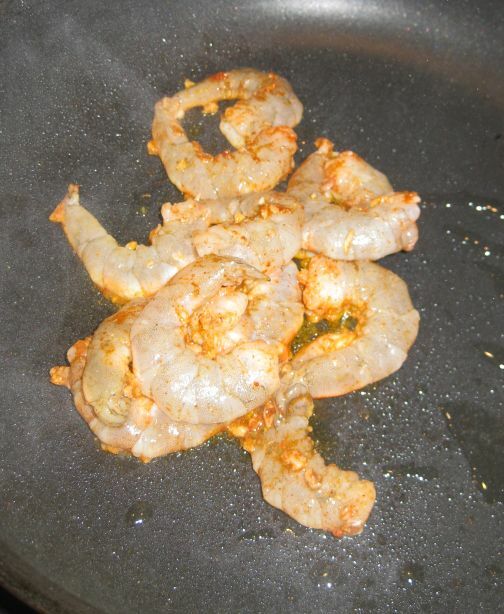 To make it even more interesting you can add squid, fish or any type of sea food you like. 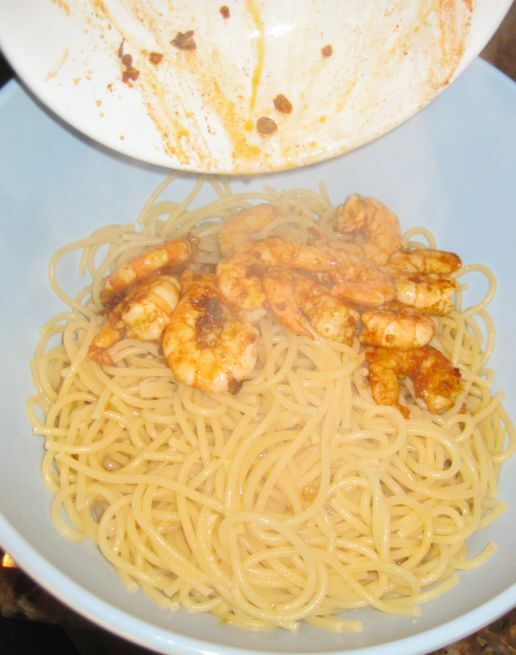 I can never resist pasta! 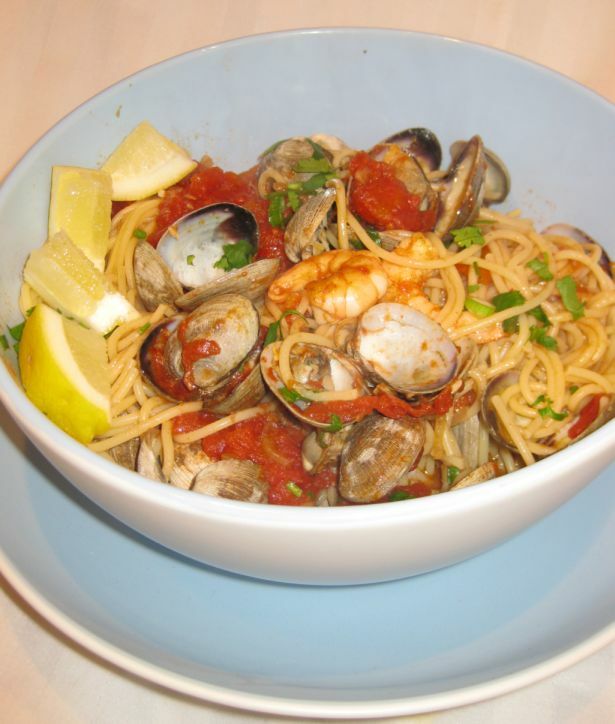 Frutti de mare is so good, the shrimps are cooked perfectly and the clams are fresh and sweet. 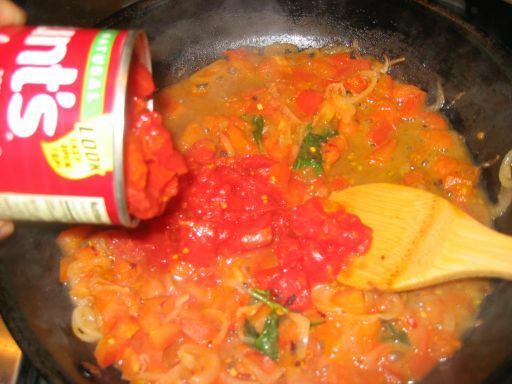 The tomato sauce is light but so tasty. 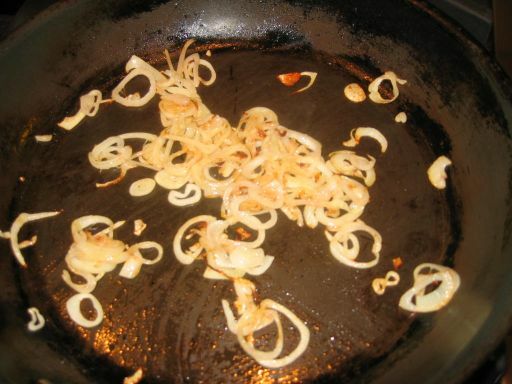 On a hot oiled pan sauté the shallots until golden brown. 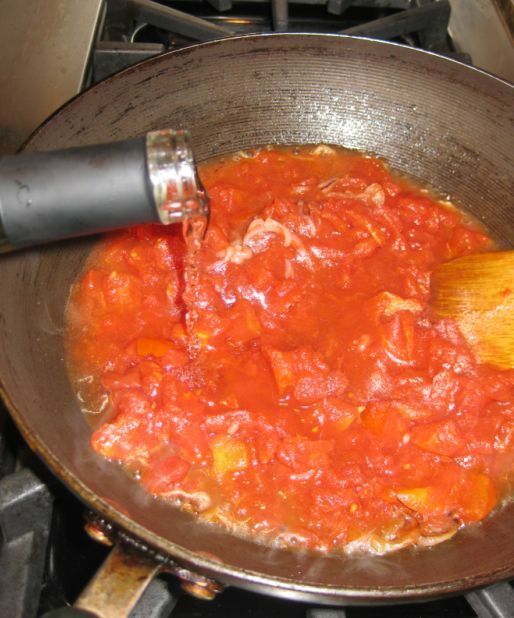 Pour in the pan the diced tomatoes and stirring the pan. 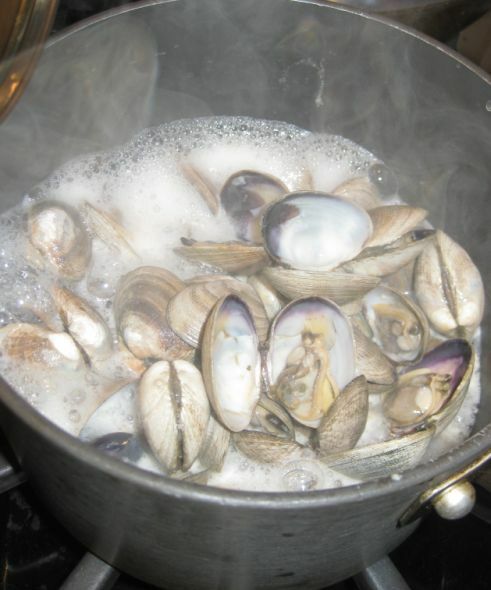 Let the sauce come to a simmer for about 10 to 15 minutes (cover the lid while the sauce is simmering). Pour the claims in a hot pat and cover the lid. Cook for about 10 minutes or until all the claims are open. 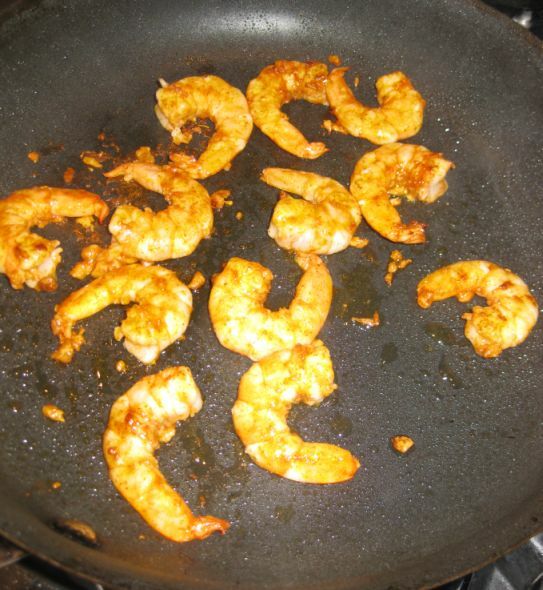 Turn the shrimps and cook for about a minutes or 2 and then set it aside. Cook the pasta according to package. 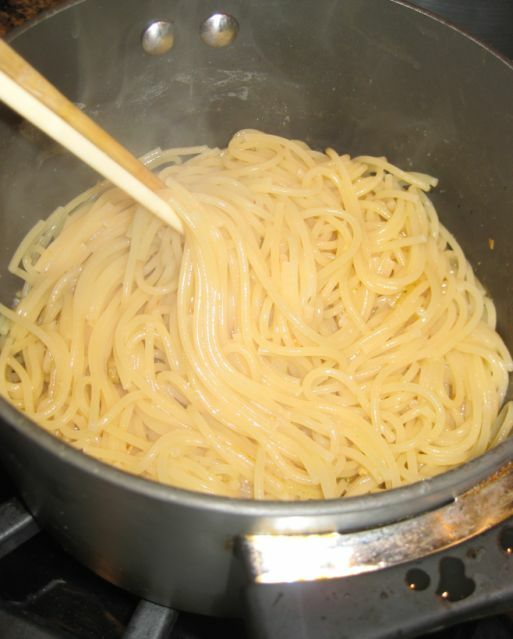 You should start cooking the pasta first because it takes about 10/15 minutes before they are ready. 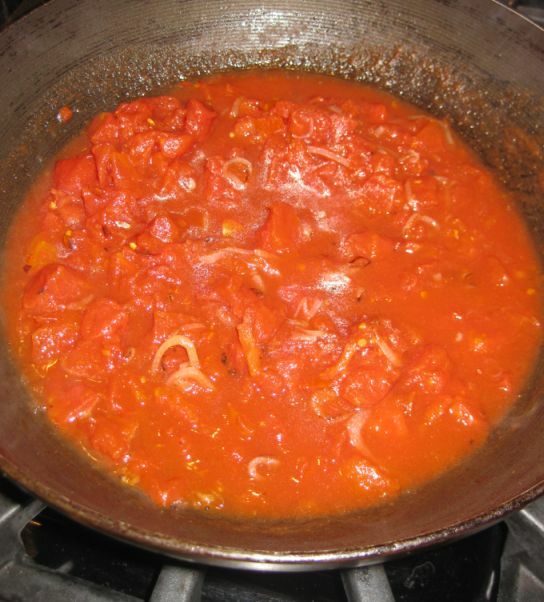 Then add the claims and the tomatoes sauce. Add basil leave or green onion to decorate. Mix it well together and serve.